Make your girl feel special with these flirty messages. 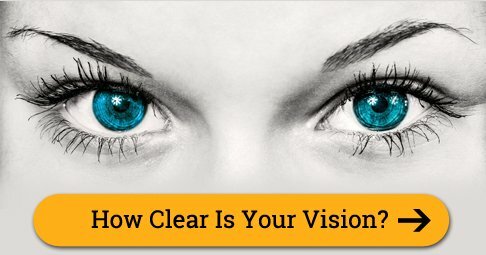 You can share/send these messages to your girlfriend via Text/SMS, Email, Facebook, Whatsapp, IM or other social networking sites. 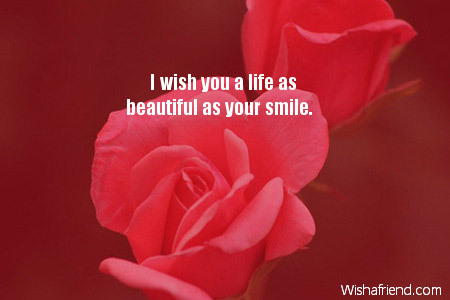 I wish you a life as beautiful as your smile. 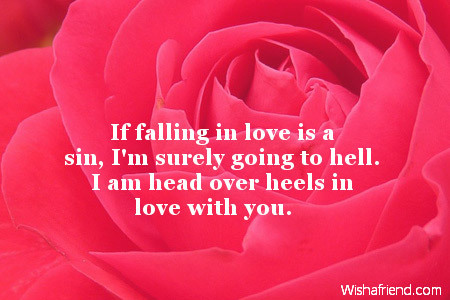 If falling in love is a sin, I'm surely going to hell. I am head over heels in love with you. 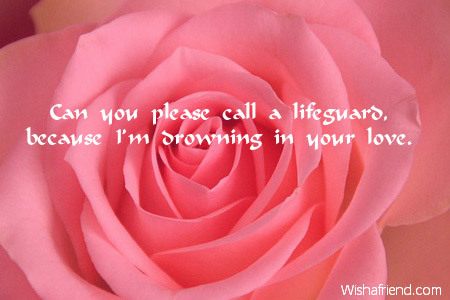 Can you please call a lifeguard, because I'm drowning in your love. 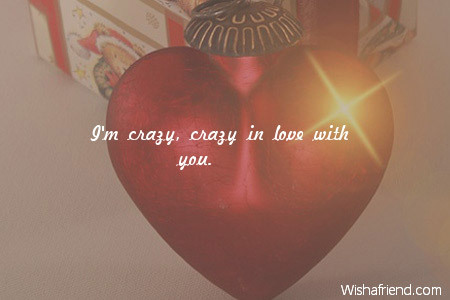 I'm crazy, crazy in love with you. If I told you that I was lost, would you take me home with you? 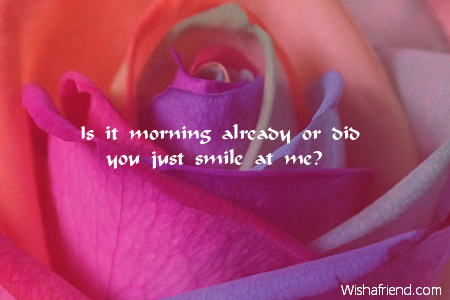 Is it morning already or did you just smile at me? 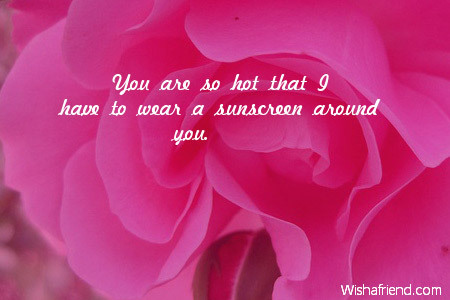 You are so hot that I have to wear a sunscreen around you. 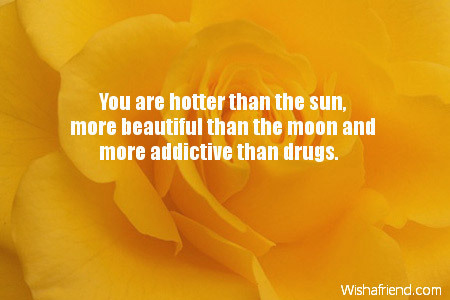 You are hotter than the sun, more beautiful than the moon and more addictive than drugs. 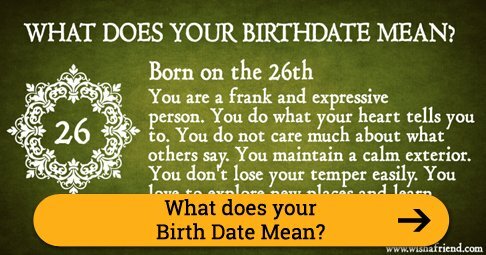 I feel pleasant. I breathe freshness. I walk proud. I think beautiful. And all these things are true, and I wish to tell, the reason is you. 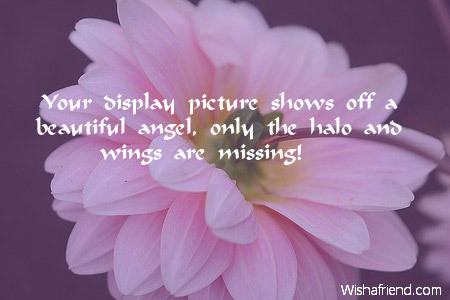 Your display picture shows off a beautiful angel, only the halo and wings are missing! 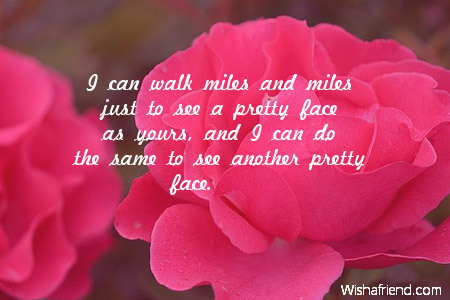 I can walk miles and miles just to see a pretty face as yours, and I can do the same to see another pretty face. 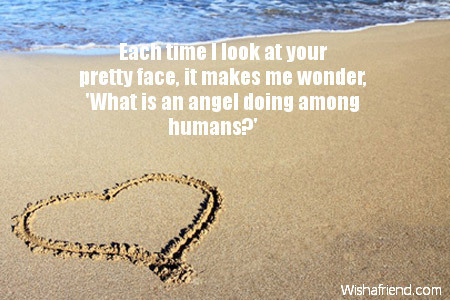 You are not just another pretty face. 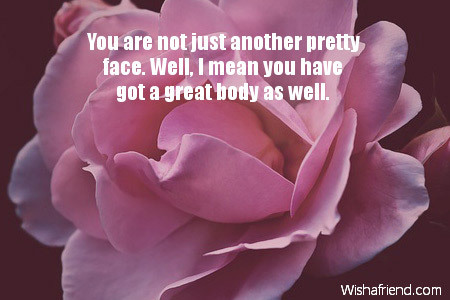 Well, I mean you have got a great body as well. 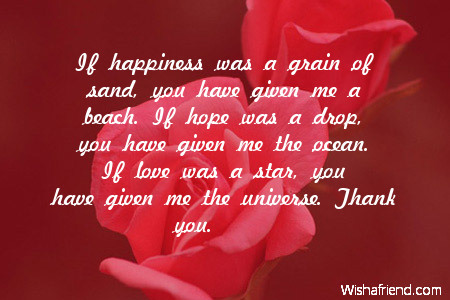 If happiness was a grain of sand, you have given me a beach. If hope was a drop, you have given me the ocean. 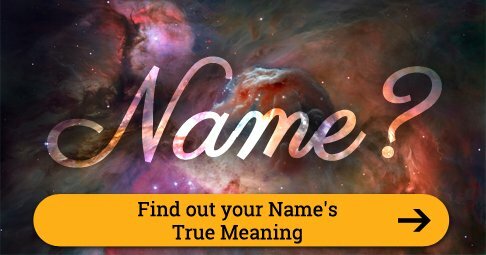 If love was a star, you have given me the universe. Thank you. Just one smile from you can make my day. 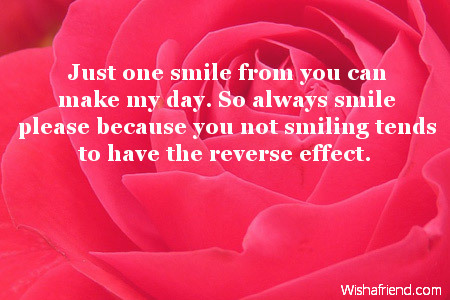 So always smile please because you not smiling tends to have the reverse effect. 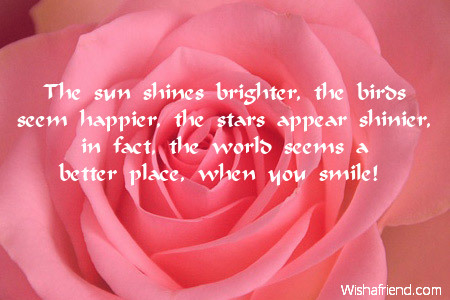 The sun shines brighter, the birds seem happier, the stars appear shinier, in fact, the world seems a better place, when you smile! 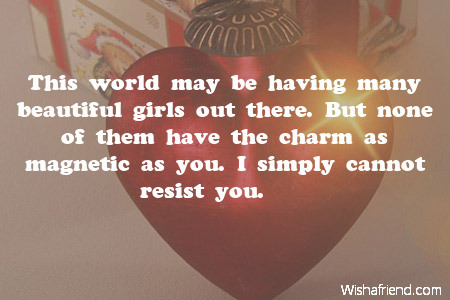 This world may be having many beautiful girls out there. But none of them have the charm as magnetic as you. I simply cannot resist you. 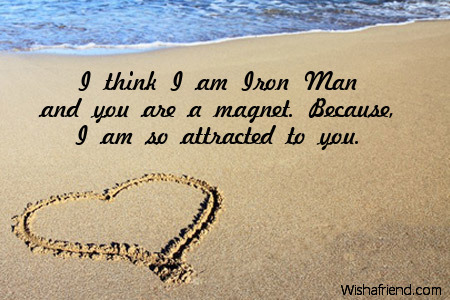 I think I am Iron Man and you are a magnet. Because, I am so attracted to you.